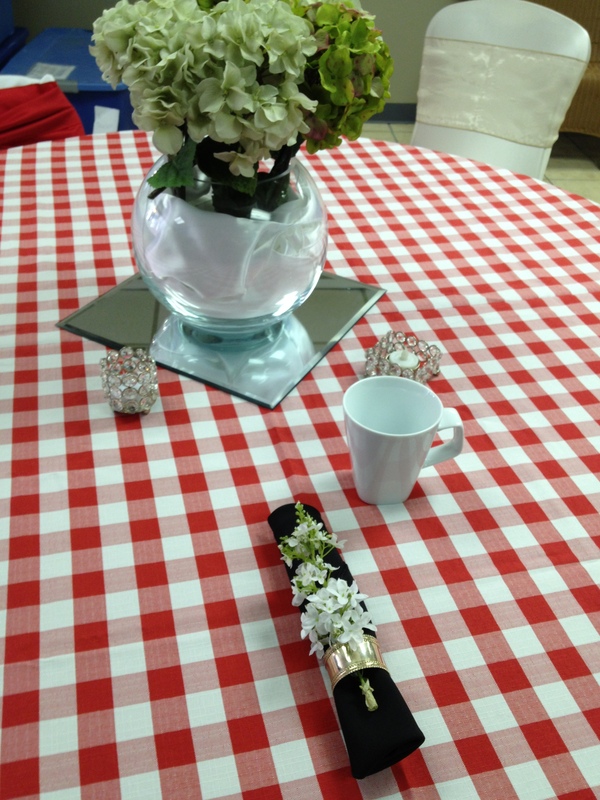 For the fourth installment of DIY Wedding: Napkin Folds we are going to show you how to do the Silverware Roll. 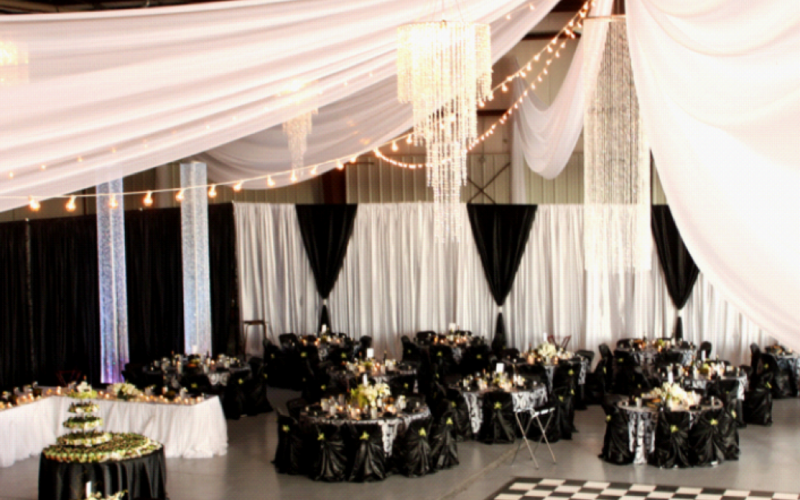 Outdoor wedding season is in full swing and there are many people turning towards the more casual/picnic style reception. 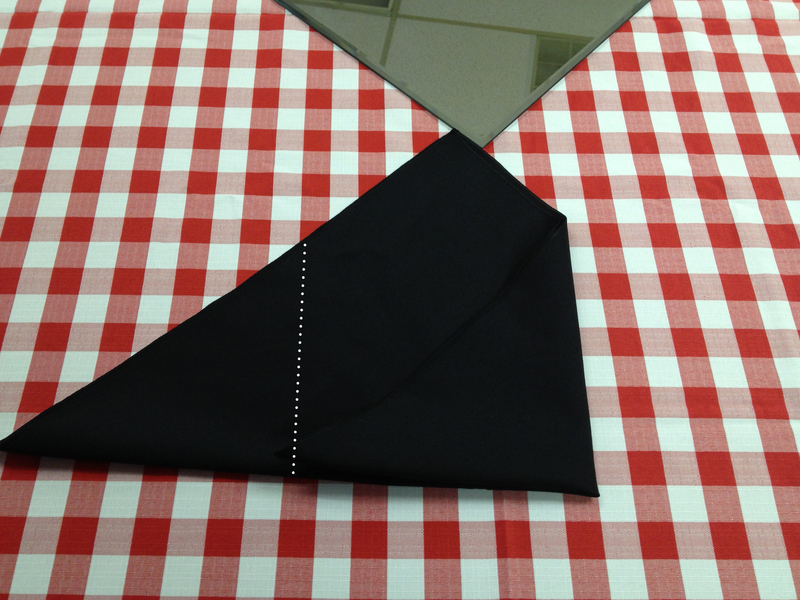 This fold is perfect for such an occasion – it looks great and holds the silverware together, making them portable for a buffet-style meal! 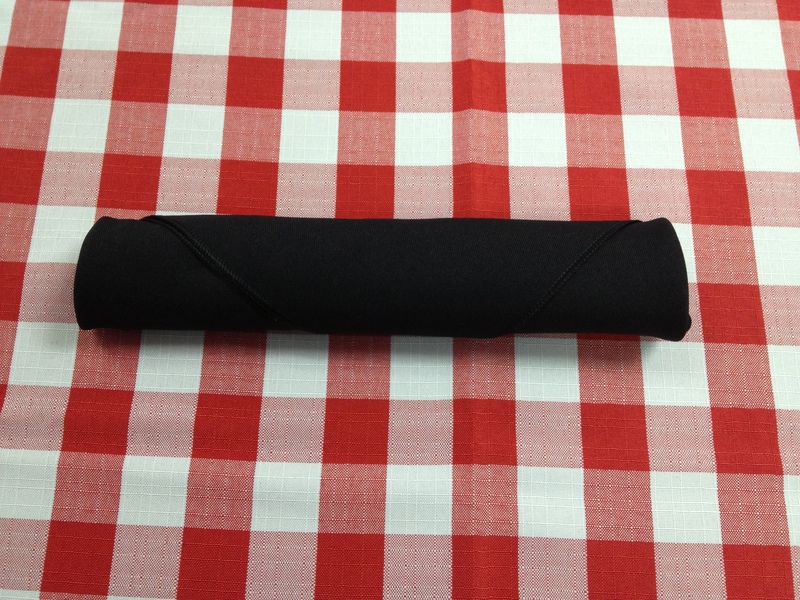 For this fold you will need one of our 20×20 Solid Polyester Napkins, a setting of silverware and possibly one of our Silver Napkin Rings. 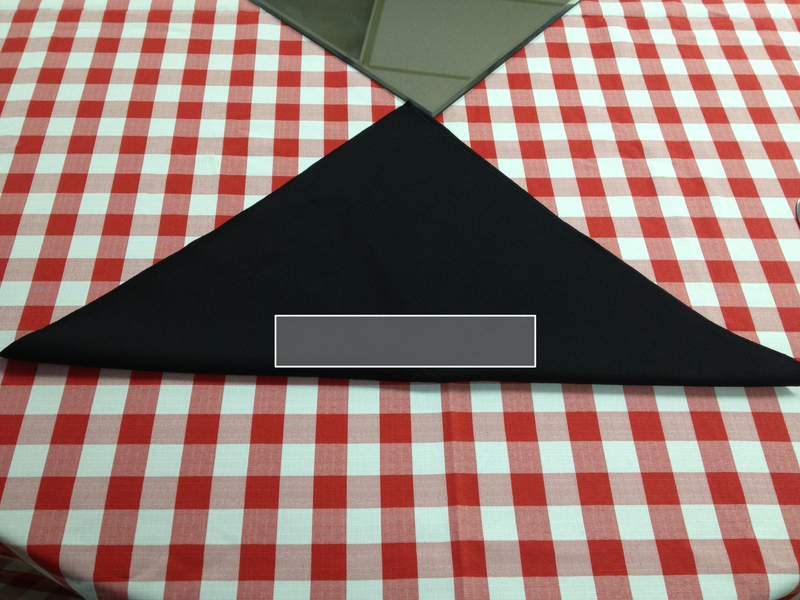 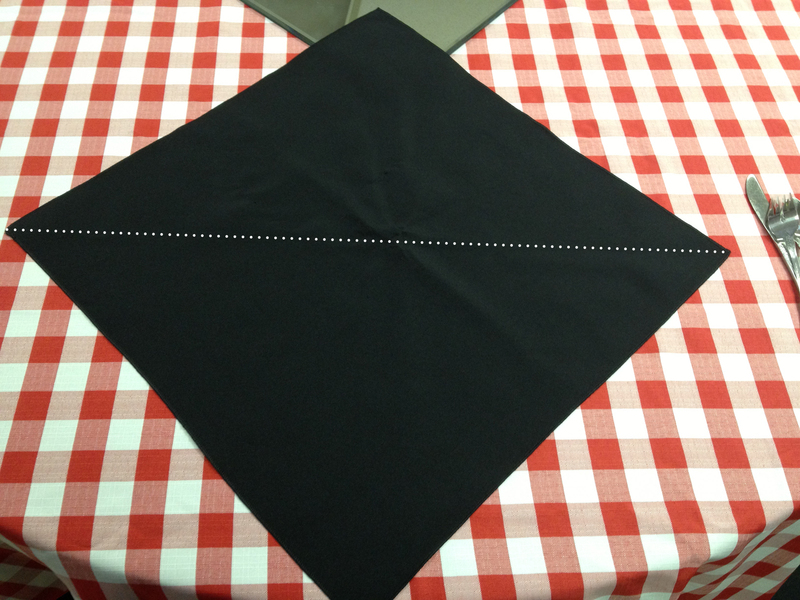 Step one: Place the napkin on the table with one corner facing you, fold this bottom corner up to meet the top corner. 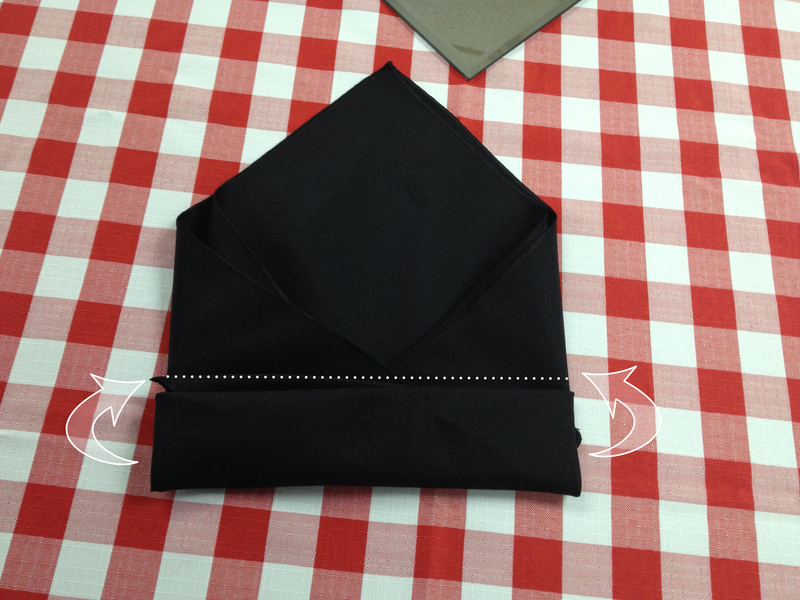 Step two: Place the silverware along the bottom edge in the center of the napkin (where the box is in this photo). 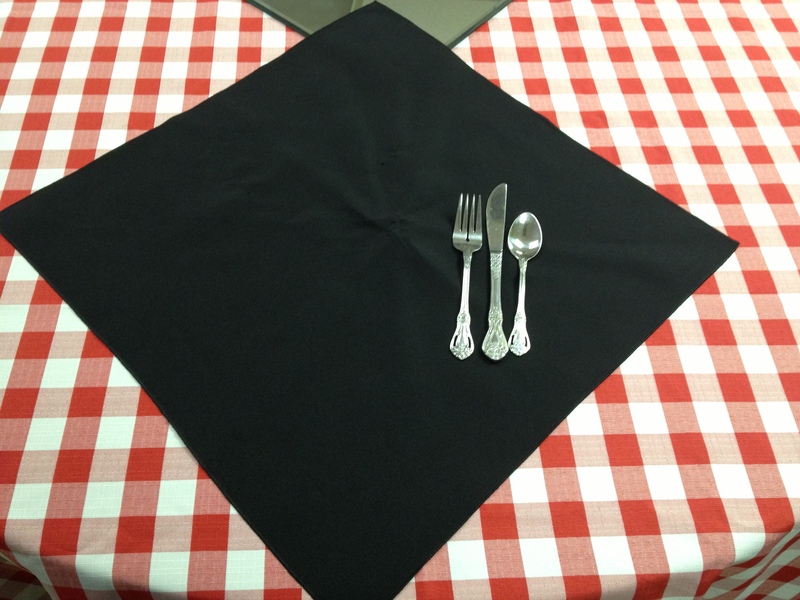 Step five: fold the base of the napkin up, making sure to contain the silverware, and begin rolling the napkin upwards. 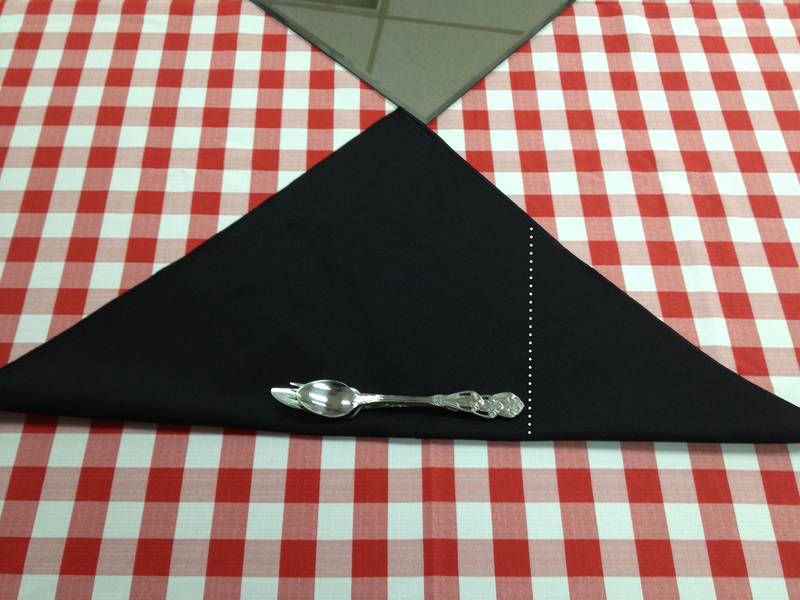 And there you have it – a nifty little pocket to make carrying a napkin and silverware along with your cup and plate a little easier. 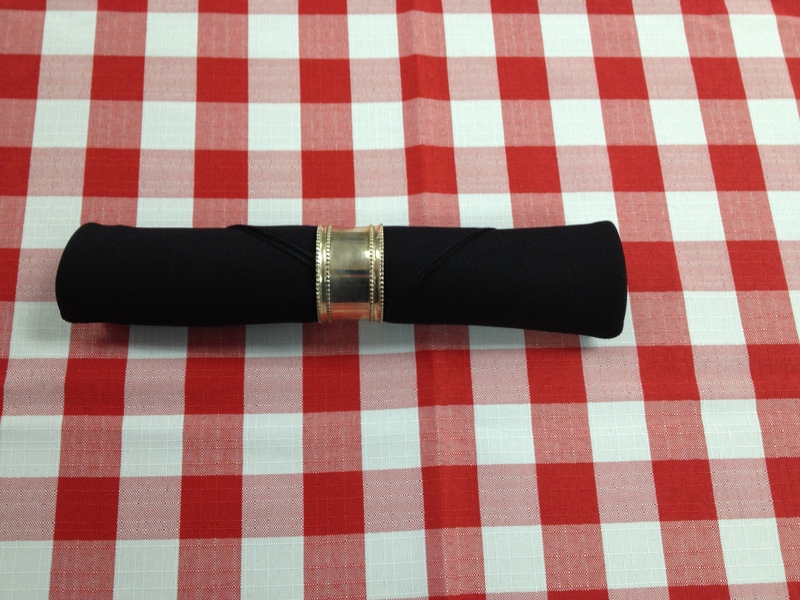 To make sure the napkin stays in place, you could opt to use one of our silver napkin rings or even tie a little ribbon around it. 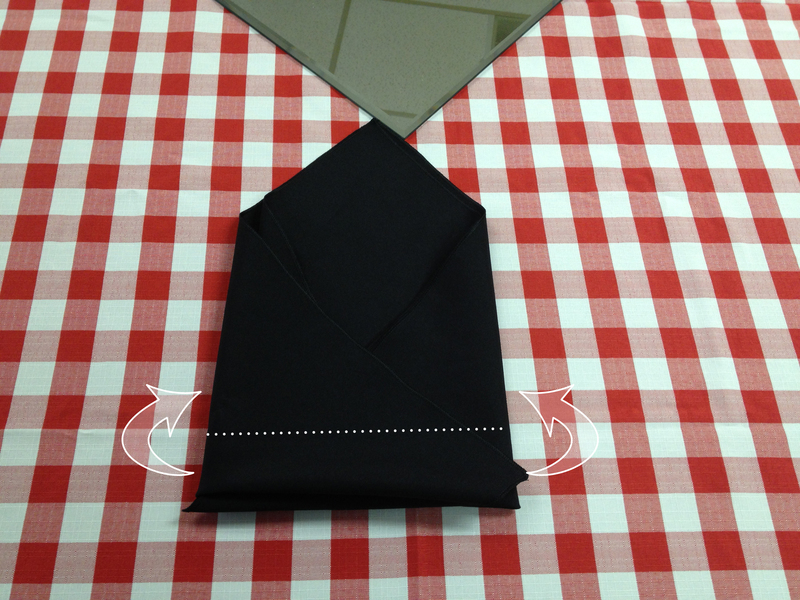 Tell Us: Is there a style of napkin folding you wish you knew how to do? 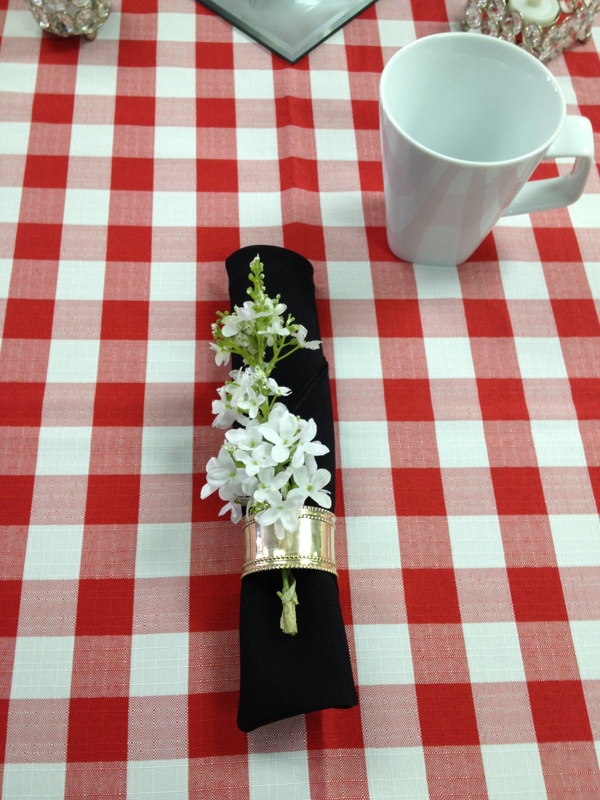 Let us know with a comment or on Facebook, and we might use it for our next DIY Weddings: Napkin Folding Blog!